This post marks quite a few milestones. 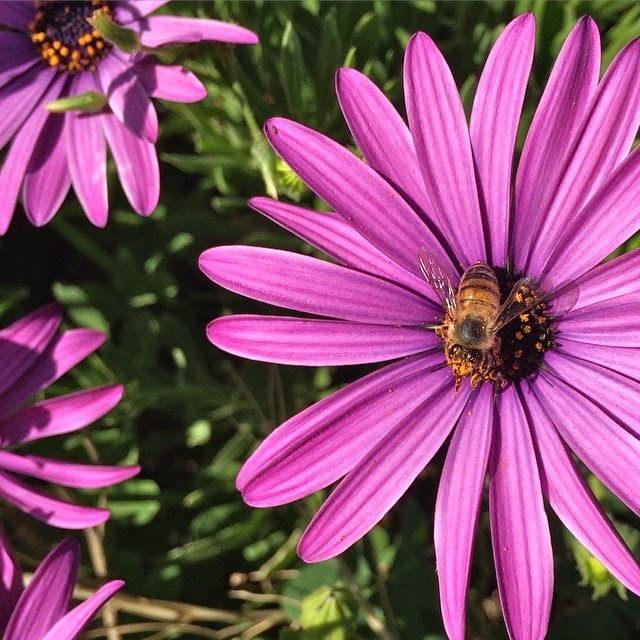 First, this is my 5,000 PUBLISHED POST! Isn't that cray-cray?! 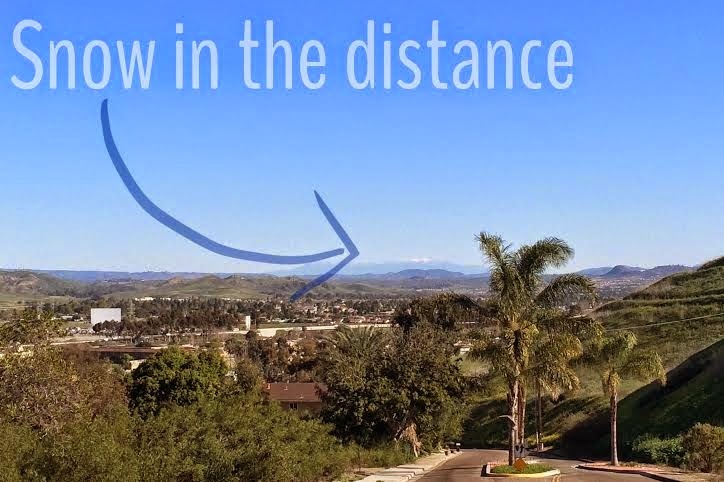 I originally started this blog after I moved to California as a way to keep my friends and family back in Michigan involved in the daily going's-ons of my life. Who would have guessed over 8 years later it would still be going strong?! Or that it would be developed into somewhat of a running blog (holy crapoly, who am I?!)?! Next, this post is technically about listening to my body and a FIRST for me... Here goes. 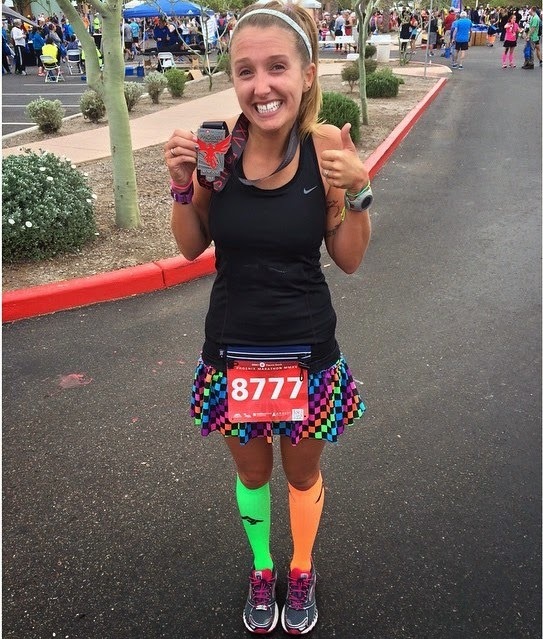 As most of you know, I ran the Phoenix Marathon last week (if you missed the Pre-Race Post, Race Recap, Post-Race Post or 8K Recap from the morning after Post, make sure to check them out!). I PR'ed by 28 minutes! 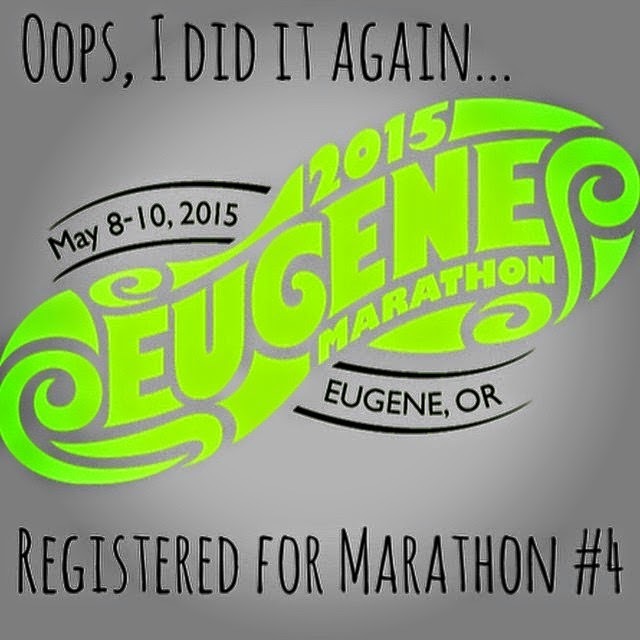 A few weeks ago I added the Eugene Marathon to my calendar in case Phoenix didn't pan out and I needed a back up (not to mention I have never been to Oregon, I have a BRF living up there who is running the race as well, and who I can stay with, so it is a no-brainer, right?!). 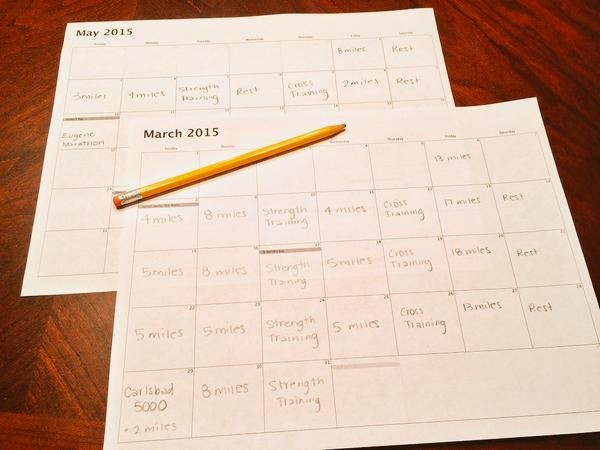 For the past 5-6 months I had a set training schedule (thanks to Coach Krissy). Once I finished Phoenix, though, I didn't have anything written in stone. Last night I got on the computer and found Hal Higdon's Intermediate 1 Training Plan (I used his Novice 2 plan to train for my first full marathon last year) and decided I would work backwards from Eugene until today (since I only had an abbreviated time frame to work with). I went into the run expecting to take it easy. I figured I would shoot for 9:30-10 minute miles, seeing as Phoenix was less than a week ago and I had only taken one rest day since then. The first mile was a little rough. My legs were tight, but I figured I just needed to get them moving. There is a bit of an incline during that first mile, so my 10:15 mile didn't seem too far off. Mile 2 started the downhill and I could tell it wasn't as easy feeling as it should have been. My mouth was super dry, I felt like I was starting to sweat way too early, and the pace felt more labored than it should have. I made it over to the nearby bike trail by this point and knew it was going to be rough (no shade, no drinking fountains, etc). 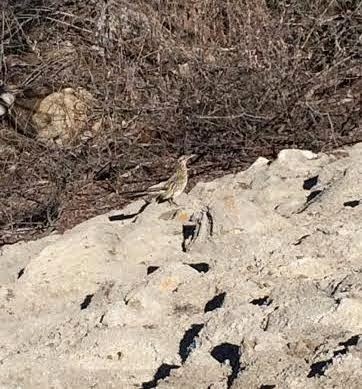 I ran alongside a roadrunner for a little bit and tried to snap a quick picture (anything to take my mind off how difficult this run was feeling). You see, I have read friend's blog posts, seen Facebook messages, perused Instagram comments, and browsed Tweets of folks mentioning that they cut their run short., but I have personally never been that person. Don't get me wrong, if I have a funny feeling, a hurt muscle, a weird twinge I don't have an issue changing up my plan and riding my bike instead of running or taking an unscheduled rest day (okay, that might not be true, I do have a little issue with it, but I still do it), but I have still never cut a run short. That is... UNTIL TODAY! My 13 mile run turned into a 3 mile run. And because I normally leave from our place for my Friday morning runs, I ended up 3 miles away from our house. So then began the long walk home. I will be the first to admit it. I think the disappointment I was feeling had a little to do with pride. I mean, I had run 26.2 miles at a somewhat hard pace (at least a hard pace for me) less than a week ago, why couldn't I run 13 (or even 4 miles for that matter) at an easy pace?! I should be able to do this no problem! Well, let's just say, today's run was a very HUMBLING one! During the walk home I came to the conclusion I probably could have finished today's run. I was running around 9:50 miles for the first 3 miles, I could have shuffled my way through the rest of my run, even if the miles ended up being 12 or 13 minute pace. But really, what good would it have done? Or even more important, what damage would I have caused to my body? I already felt extremely parched by mile 3 and I wouldn't have gotten to a drinking fountain until about mile 9. I think by the time I reached the water I would have felt like I was ready to pass out from dehydration. AIN'T NOBODY GOT TIME FOR THAT! So today I had a long walk home. And had to listen to my body. I'd be lying if I said that walk didn't include disappointment, frustration and a few tears. I know, I know "the bad runs make the good ones feel so much better", blah blah blah! I STILL HATE THE HARD ONES! #AmIRightOrAmIRight?! Also, since I wasn't still running when I passed the mailboxes I was able to spot and grab everything that was delivered over the last couple days. LOOKIE WHAT CAME! 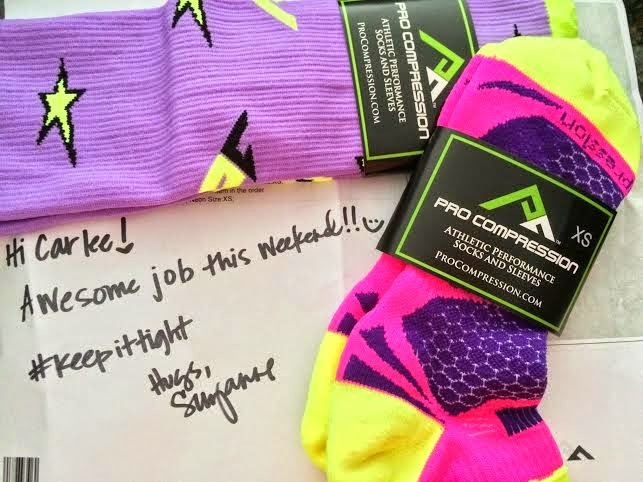 Some Pro Compression goodies (and a sweet handwritten note from Suzanne!)! By the time I got home I had cooled off a bit (both emotionally and physically) and started looking through my Instagram feed (while downing a Gatorade and a big glass of water just in case I was on the verge of dehydration). I started seeing a few posts about how "It doesn't matter how slow you go, as long as you keep moving" and "Never give up on yourself" and I got down on myself... It made me start questioning my decision. I thought, "Maybe I should have kept going." "Why did I give up?" But I have to remind myself, I didn't give up on myself, I am listening to my body! My body CAN do hard things (and I proved that to myself this past weekend), but it also needs adequate rest to be able to do them... And I haven't given it that this past week... So today's run was just my body's way of telling me to slow down (at least for today). Although this run was rough (one of the roughest in a long time), I am not going to let it ruin my day. 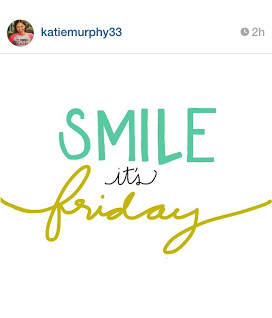 I am going to do what Ms. Katie's Instagram told me this morning and SMILE (and probably nap along with do laundry - fun!). 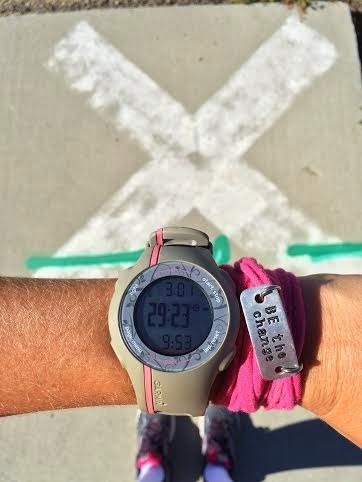 Would you consider listening to your body as giving up on a run? Girl, if I ran as much as you did last weekend...well, that's another show. 😉 Anyway, I would just take this as a sign that the body is screaming "Rest!" I'm not nearly as much of a distance runner, but given all the training I do, I've learned to listen to my body and rest as needed (most of the time...haha). Here's to a better next run, and some virtual hugs! Most people take at least a week off running after a full marathon (cross-training with walking, hiking, swimming, biking) and follow their taper plan in reverse for the next 2-3 weeks. Take it easy and don't be so hard on yourself! I think you're being really hard on yourself considering you ran a marathon less than a week ago. 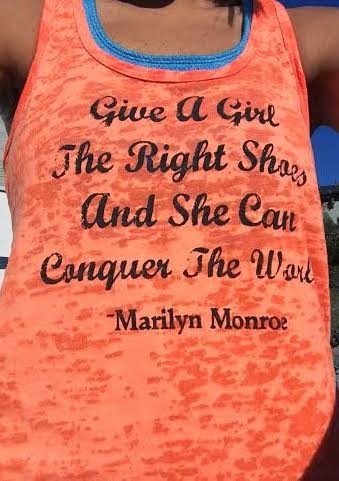 Most people wouldn't even attempt a 13 mile run that soon. Runners have a tendency to push through pain and not listen to their bodies. That only leads to injury and ongoing fatigue. Listening to your body was the right thing to do. This is just the post I needed to read today! I had a really strange 3 mile run this morning where I got dizzy and nauseous in the middle and was so thirsty. 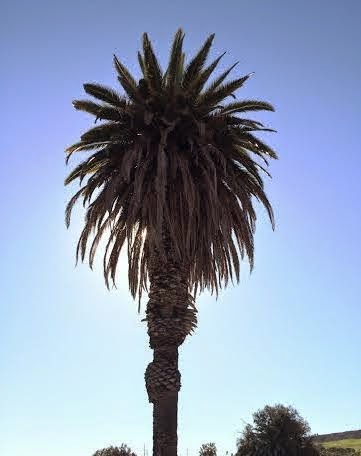 I think some of it was the weather since it has randomly decided to be so warm in So Cal this weekend. keep your head up and don't be too hard on yourself. Rest and make sure to stretch and relax after your awesome PHX marathon. 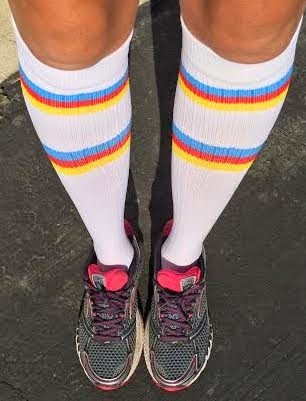 I have a 10 miler scheduled today and I am testing it out to see how my foot feels. If it still hurts, most likely I will cut it short at the 4 mile mark. The best thing you can do is listen to your body!